We’ve made some lovely festive crafts over the last week. The children are so excited about Christmas and I’ve been enjoying watching and listening to their chatter. They are both rehearsing for their Christmas plays at school and it is really funny listening to their interpretation of Christmas. We love making handmade gifts and cards. 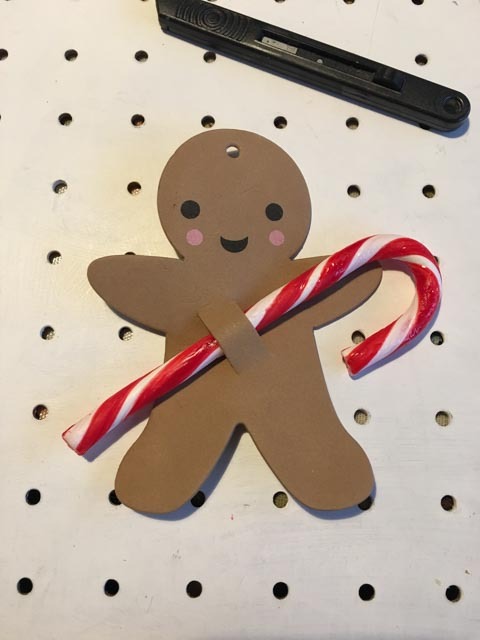 This year we thought we would try something a little different from a photo card and made a gingerbread man with candy cane Christmas card. I had a few attempts at making a gingerbread man who could hold a candy cane. I tried using the card from an empty cereal box and all types of paper but nothing was strong enough to support the weight of the candy cane. Eventually I settled on a pre-cut foam gingerbread man. I used a Swann Morton blade to make two cuts on the body of the gingerbread man. This was just large enough to hold a candy cane in place and the foam meant the gingerbread man was flexible enough (I found card ripped when the candy cane was pushed through). 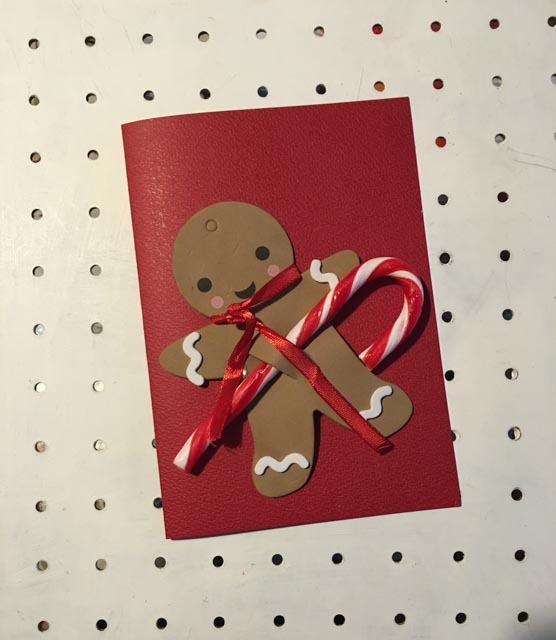 We used glue dots to stick the gingerbread man to the front of a card. 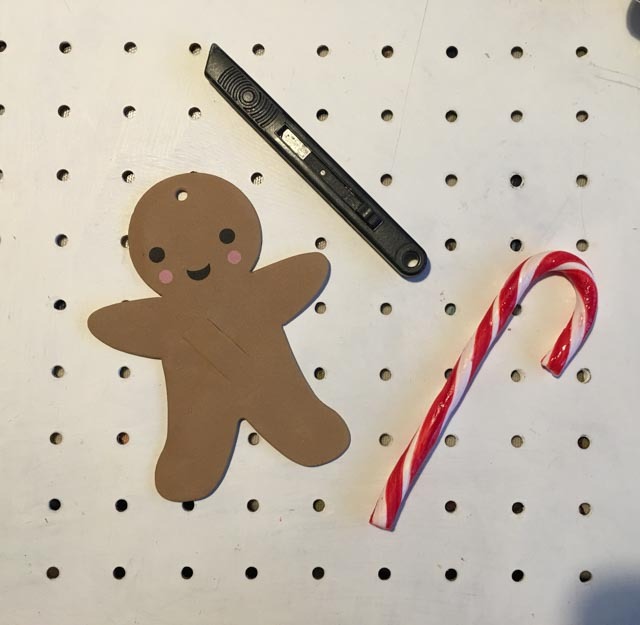 There is plenty of space to write a greeting above the gingerbread man, I think I might use the Christmas stamps we reviewed earlier this month from Stamptastic. This makes a simple Christmas card but ticks all the boxes for those of us that love gingerbread crafts. I’m thinking it would make a great gift for my son to give out to all his classmates too. I love the inclusion of the candy can on this card. This is adorable! It would make an easy and thoughtful gift for friends this Christmas. 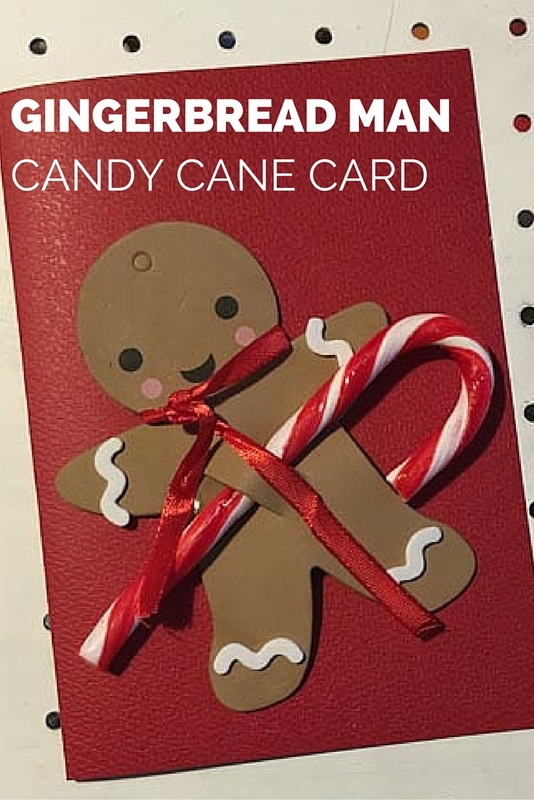 A candy cane addition is a wonderful idea for the fun Christmas cards to friends!